coupon while making a purchase. A piece of art which you can purchase at a discount from the market. An antique piece which you have got from your grandparents or you can buy them during the sale. Keep as many books as possible, even if you are not that much of a reader. To avail them at a low price, keep a check on the promotions. A pretty large mirror whether for the dining, living area or dressing area. The last but the most important, persons you value and love. For the Kitchen: Are you looking for a modern taste in your kitchen apart from the food you cook; then we suggest you can choose specific areas in your kitchen which will have open shelving. Open shelving gives more functionality and looks to the kitchen, where the cabinets should be clean as well as fresh. Never overcrowd the shelves, just keep matching or similar sets of cookware or dishes on them. You can also upgrade the refrigerator to a high-end refrigerator which has French door to add more sophistication to your kitchen area. This fridge has hidden inner doors inside it to store all the essentials preventing air loss. rug beneath the table. Place a plant pot by the window which has big leaves. The Dining Space: A dining room is a place where the family comes together to share food and at times the special guests. 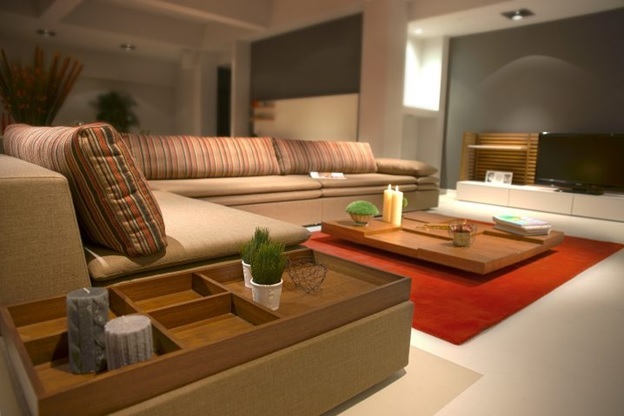 So, the focus should be to make it comfortable, spacious yet cozy to enjoy the space with each other. Gold is a sophisticated colour as well as texture option to go for. You can always put your windows to gold around your dinning space. Use white modular chairs with the golden foot under it and a fur placed over it instead of old type cushions. This adds comfort while you create sophistication by adding gilded mirrors. Your special room, the bedroom: Choose comforting lights instead of the bright ones, because you cannot create a sophisticated look by placing bright lights in a bedroom where you rest or sleep. Go with neutrals and whites as per as the colour palette is concerned to make your room look cool. Use bed linens that are as good in use as they look, you can choose stripes that match the room’s colour. Place white flowers on the side table which has a lamp, books and a photo frame. Give your room a sharp and stylish look which itself adds to the much-needed sophistication. The Cleaning area, Bathroom: Sophisticated bathrooms can be both minimal as well as calming by keeping the necessary elements in the view. If you want your bathroom space to not be an overcrowded one and look its minimum best, then choose a clean design along with a colour palette of black, dark grey and stainless steel. A wash basin with a large mirror to it, and a shower area behind. Add a flower vase of red flowers on the platform by the wash basin, minimum yet sophisticated while the essentials stay at the cupboard below the basin. Whereas, a romantic essence which is calming is also preferable. In this layout, you can decorate the platform or aisle above the master bath with small colourful pebbles, flowers and lighted candles. The bathroom should have glass door shower space and floating cabinetry and hanging lamps on top of it.